Thank you for wanting to adopt a pet from Tri-County Humane Society. We hope you find what you’re looking for, but if not, visit again tomorrow! New pets in need of a loving home arrive daily. 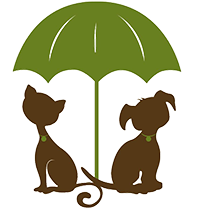 If you have any questions regarding the pet descriptions on our website, please call us at (320) 252-0896. Our knowledgeable staff and volunteers will assist you in finding a good match for you and your household. Check out these successful adoption stories! We look forward to adding your adoption story to the list soon! Cats 2+ years: Fee waived for senior citizens 55+ years of age and veterans or military personnel. Follow Tri-County Humane Society on Facebook or other social media (see links at the bottom of this page) to learn about other promotions and events as they are announced! Animals are adopted quickly from Tri-County Humane Society, so we advise you to call us if you find an animal you are interested in to place a travel hold or deposit on them. To place a deposit on a pet, call us at (320) 252-0896 and have your Visa, Discover or Mastercard ready. Travel Hold: Travel holds are a courtesy that will temporarily hold an animal only for the brief amount of time it will take you to get here to visit with it. We know how disappointing it can be to see an animal on our website that you want to adopt only to drive to our shelter and discover that someone else beat you to it! Deposit: Deposits will hold animals for two full businesses days to give you a chance to come and meet them. There is a $20 non-refundable fee associated with this service, although if you choose to adopt the pet upon meeting it, this $20 will go towards the pet’s adoption fee. 2nd Deposit: If an animal you are interested in already has a deposit, you may place a second deposit on the animal. In the case that the first deposit falls through, you will be next in line to have the opportunity to adopt this pet and will have two business days from the time we notify you to come and adopt your pet. A $20 non-refundable fee still applies, even if the person with the first deposit decides to adopt the pet. 1. Are all pets spayed or neutered prior to adoption? Yes. In an effort to reduce accidental litters and decrease the number of unwanted pets in our community, we have been committed to spaying/neutering all dogs, cats, puppies, kittens and rabbits prior to adoption since 2012. 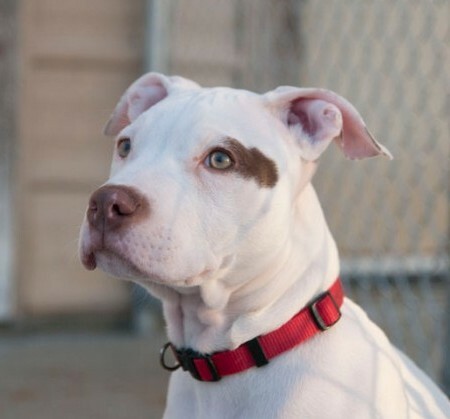 The cost of this procedure is included in the adoption fee, not in addition to it. 2. Are the pets available for adoption healthy? We receive pets of all ages in varying states of health, and it is simply not possible to guarantee the health of every animal. All pets receive a basic physical examination and temperament evaluation, performed by our animal care team. Any concerns are addressed by our shelter veterinarian and necessary treatments are prescribed. If continued treatment is necessary following adoption, this information will be clearly explained to you at the time of adoption and a full medical history of what we have done for your new pet will be provided. It is important to know that we are not a veterinary clinic, however, and we are limited in our abilities. It is strongly recommended that you visit a veterinarian of your choice within the first week of adopting your new pet. 3. Do the pets receive vaccinations? All dogs and cats receive Distemper combination vaccines. Dogs also receive a Bordatella vaccine to help prevent kennel cough. Some pets receive Rabies vaccines, but not all. 4. Are the pets free of parasites? We check all animals for fleas, lice, ear mites, and ticks, and treatment is administered if anything is detected. All dogs and cats receive a standard deworming with their examination that covers Roundworm and Hookworm. It is recommended that this deworming be repeated two more times to cover all life stages of the parasites if any are present, so depending on the length of time the animal is in our care, follow up deworming may need to be completed at your veterinary clinic. 5. Are the pets micro-chipped? Yes. All dogs and cats receive micro-chips, and your information is registered with the micro-chip company during the adoption process. Micro-chips are not a tracking device, but rather an identification chip inserted under the skin that cannot be removed, unlike collars with tags that can fall off. It is standard practice for animals shelters and veterinary clinics to scan stray pets that are found to see if a micro-chip is found. It is safe for pets, and one of the most effective means to reunite lost pets with their owners. 6. Is there a return period if the adoption does not work out? Yes. We have a 30-day return period during which your adopted pet may be returned for any reason, and all but $20 of the adoption fee will be refunded. A full refund will only be issued if there is a medical reason for the return which has been confirmed by a veterinarian. 7. What if I need to return my adopted pet after the 30-day return period? After the 30-day return period, you will be asked to pay a surrender fee to return your adopted pet. Please call first as we take in animals using scheduled appointments. Be prepared that, depending on the time of year, we may be booking appointments out a few weeks or more. We can rarely accommodate same-day appointments as our shelter is almost always full.